Ensures the development, implementation, and maintenance of quality control instruments and activities. Schedules, coordinates and monitors a wide variety of Quality Control tests which are performed in accordance with approved protocol. Participates in validation protocols of manufacturing sites and equipment. Provides guidance to the Quality Control team on the application of the internal and external regulatory requirements. Carries out instrumental Quality Control tests according to methods of analysis. Conducts internal audits on department test methods and activities to confirm compliance and to identify improvement. Designs laboratory requirements with respect to facilities, equipment and instrumentation. Maintains laboratory equipment in line with preventative maintenance schedules. Develops and revises laboratory procedures in accordance with current testing guidelines and good manufacturing procedures. Prepares of documentation including validation protocols, reports and associated deviations. . Releases products from testing once all criteria are met, as specified in the procedures and testing specifications. 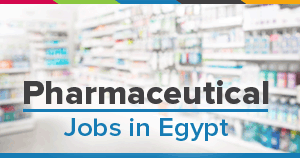 0- 3 years of experience in the pharmaceutical Quality Control laboratory. Able to carry out laboratory work in accordance with laboratory procedures. Accurate generation, recording and presentation of test results. Must have the ability to accurately execute protocols and prepare draft reports with supervision. Ability to meet workloads and project deadlines.